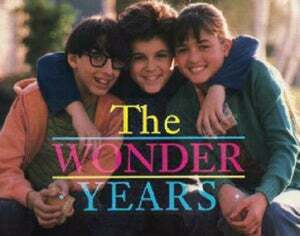 For those who grew up after the mid 1970s, the television show The Wonder Years was our best window into the turbulent period in American history between the Chicago Democratic Convention and the resignation of Richard Nixon. Even for those individuals uninterested or unversed in the history, the show captured most of the touchstones and common experiences of post-industrial American adolescence. Unfortunately, the show is unlikely to come out on DVD soon because of its extensive use of wonderful but royalty-laden music. For those like commenter TheBrewPub, our daily Down On The Street does a great job of sparking nostalgia. I still remember when my dad brought home the 'new' (it was used) car - the 1978 Cordoba. I clearly recall clamboring into the backseat and marvelling at the crushed velvet upholstery, since the 'doba was replacing a Gremlin with hot sticky black vinyl seats. I remember my mom slamming her fingers in the behemouth door (twice! ), I remember sticking my tongue to the seatbelt in winter, I remember singing along with Tom T Hall and Jim Croce on the 8 Track, I remember long road trips, I remember the little signal lights at the end of the fenders above the headlights, I remember learning to ride a bike and smashing full speed into the side mirror... Sigh... I don't think I miss the car, but it sure makes me nostalgic for growing up.